Ethan is a designer and creative thinker. Get to know him on Tumblr. The Internet is made up of many common and similar experiences. We use the same social networks, blog templates, and tools to connect with each other. We embrace trends and find ways to start using new technology right away. However, there is something special about a letter that someone wrote, there is the human touch. This human touch can also be created and experienced online. It’s the authentic experiences that truly succeed. The key is to tell stories that are true to the brand and its message. The design and feel of the site should be unique to what the site is about. It’s much easier to tell the story of your own brand online, than someone else’s. But when working with clients, it becomes more of a challenge. The most important thing is to understand who they are and what they represent. Immerse yourself in their product or service and be sure to ask lots of questions. The best thing is to do a careful study of their existing design system. Ask them for copies of their business cards and brochures, see how their signage is displayed on the storefront, and anything else. Typekit has opened doors by allowing brands to continue to use their typography systems on their websites and thus the last year we have seen lots of interesting results produced. Remember, social media isn’t always the best answer and its not necessary for everyone. In order to create an authentic social media platform, there has got to be a solid understanding of the system along with lots of hard work and dedication to sustain the conversation. 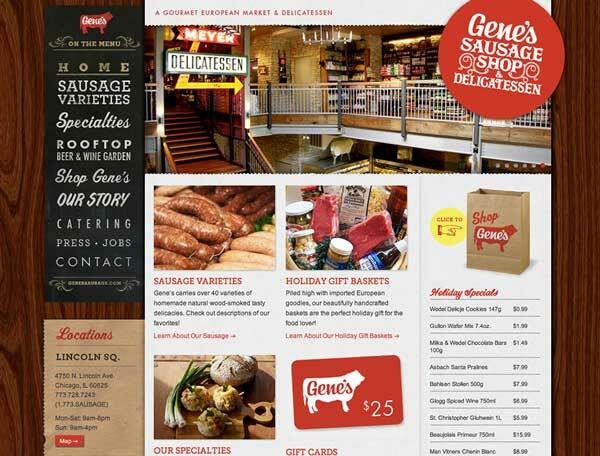 Creating an authentic web experience, also doesn’t mean that you have to use textures, ribbons, and hand drawn type. It simply means to stay on brand or further develop the brand in the same direction. It isn’t at all about the trends, but if those trends fit the brand then they can work well. This site just feels right. When viewing the photos of their actual shop and reading about their story, the design of the site and the language used match their brand. The typefaces used are mixed and similar to the actual signage in their shop. Furthermore, the paper bag texture and jagged lines in the sidebar and the footer replicate the way you would expect to be taking your sausage and goods home with you. Jonathan Harris has developed a website completely unique to one story. He incorporates every detail of his own real life experience into the navigation and overall interface. There are different ways to navigate through the story, metadata that provide context, and unique typography that allow you to navigate through the thousands of photos. Read more about the interface design of the site right here. Another example in terms of portfolio websites is Gage Salzano. He takes the opportunity to just not show the finished project but to bring you along with him through his process. Websites can’t be just about page views and advertisement conversion rates, it’s got to be about creating interactions that are honest and beautiful. These authentic experiences simply work the best. They allow people to connect and get excited. They leave people wanting more and engaged which leads to an audience and following being formed. It’s also important to remember that by simply having an amazing website doesn’t mean everything. The authentic experience must be continued through the printed design work, the physical spaces, and the business model itself. Have examples of your own to share? Post a comment below and share with the rest of us. I agree about the experience and when it comes to experiences or success…I like to look at other fields as well. Like the music or movie industry, when you bring something genuine and unique to the table, people just flock to it. Inspiration in the real world can make websites so much more authentic online if the right decisions are made during design and development. Just a heads up. I can’t read the text of your posts. Not in Chrome or in Firefox. I thought it might be the problem that Firefox has with certain versions of Helvetica but it seems to be something different. We’re interested in seeing what the problem is, we just can’t duplicate it on any of our Mac/Windows setups. Is the text too light/thin/or just not showing up? This makes perfect sense. While Twitter and other social media platforms are great for building relationships, portraying your brand via your site and design is also very powerful. A well designed website can do well for branding and I personally use pay per click for branding too. You pay only when people click on you ad and I create ad for just branding not for clicks. @maria pay per click can be good for brand awareness but I think your web design, layout look and feel is more important. Page views and conversion rates should come as natural progression to great design and functionality, content and branding. 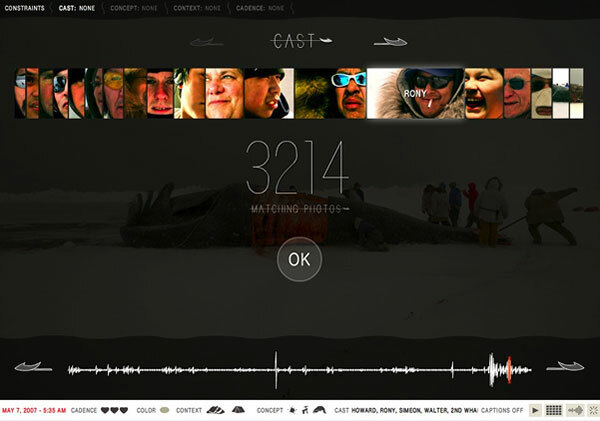 That whale hunt site is incredible, Johnathan Harris is brilliant – what the! Teşekürler çok ihtiyacıma yaracak. bir konu hemen üzerinde çalışmaya başlıyorum. Working on things for other people is easy for me, but when it comes to my own projects; Total perfectionist in ways that don’t matter that the user will never see, it’s a real productivity killer at times. Exceptional and intentional management of the brand experience requires recognition of the fact that it is co-created by brand owners, brand representatives and customers alike. There are three basic elements of the brand experience that comprise this dynamic process of co-creation: the ideal, actual and subjective experiences. Alignment of these experiences represents the key process through which brands are experienced in a meaningful and consistent manner. In this way, meaningful consistency across the ideal, actual and subjective elements of the brand experience leads to authenticity. And brand authenticity is the most critical outcome of the brand experience that propels brands along the desirable path of sustainable growth and prosperity. When your marketing efforts result in repetitive sales it’s a good starting point for building brand awareness. Otherwise it’s putting the cart before the horse. Small businesses can afford to overlook the importance of pushing sales to the maximum. And the first rule of business is – make it simple.